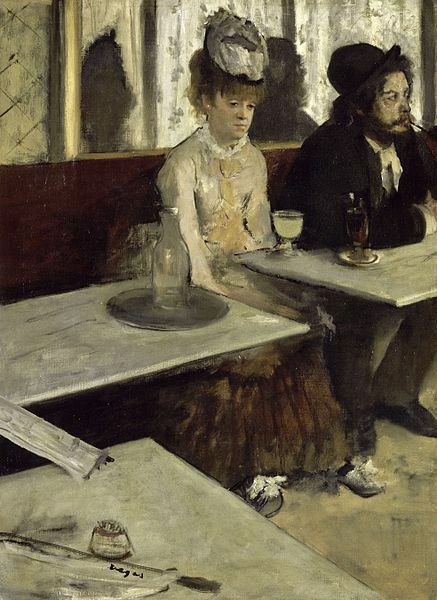 Manet's "At the Cafe" painted in 1878. This scene takes place in the Cabaret de Reichshoffen on the Boulevard Rochechouart, where women on the fringes of society socialize with Parisian gentlemen. While you can see many of Manet's works in Paris, this one is at the The Walters Art Museum in Ohio. Photo: WikiMedia.org. Welcome to the ArtSmart Roundtable! Each month my colleagues and I publish an article highlighting a specific topic that combines art and traveling. This month, we focus our efforts on "Art Worth Traveling For," a subject I am particularly passionate about because wherever I travel regardless of the destination, I seek out art in one form or another. From frescoes and paintings to sculpture and architecture, I revel in experiencing as much as possible during each visit. And so I ask, isn't all art worth traveling for? How do you limit your experience to just one location without thinking about all that remains to be seen and explored, and so with that, I am going to highlight some of my favorites that I've encountered during my travels thus far and by no means is this list all-inclusive because that would take an encyclopedic approach. When you're finished reading, be sure to check out the rest of the ArtSmart Roundtable contributions for this month. Without further ado, I present traveling for the love of art and the sublime! 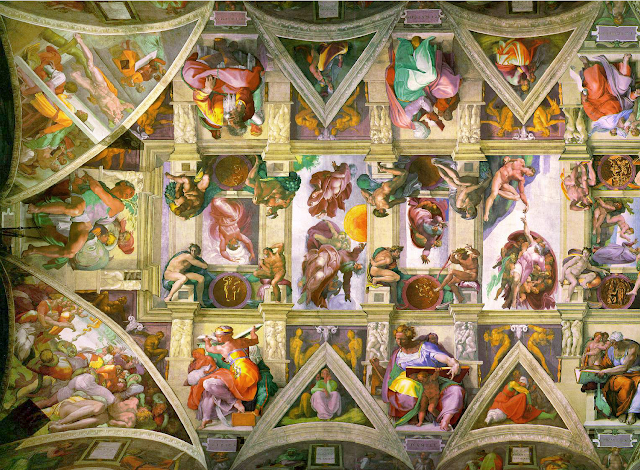 Topping my list of sights worth traveling to at least once in your lifetime is a journey to the Eternal City of Rome to behold Michelangelo's Sistine ceiling. This was my first opportunity to experience European art since my college days and up until then, I had only dreamed of standing beneath this extraordinary 500-year-old fresco that features the story of "Genesis" as told in the Bible, along with prophets and Sibyls, the Exodus and other biblical epics surrounding "Genesis." But that is only the beginning…the rest of the Vatican Museum is as equally awe-inspiring on this grand tour that will take you from pre-Gothic times to the Middle Ages, to the early and high Renaissance, and finally to the Classical. Along the way, you'll revel in the frescoes of the Stanze di Raffaello or Raphael rooms, ancient tapestries presented in the most subdued light for preservation purposes, masterpiece sculptures including the Laocöon, the Belvedere Apollo, the Pietà—among countless works created by the masters Caravaggio, Michelangelo, Leonardo da Vinci, et al. Moving outside, turn to see the crowning glory of Saint Peter's Basilica—the cupola designed by none other than Michelangelo and be sure to climb up to the top for jaw-dropping views of Rome. Turn around again, and this time it's Bernini's sprawling Saint Peter's Square with arms of colonnades outstretched to welcome all of Rome. 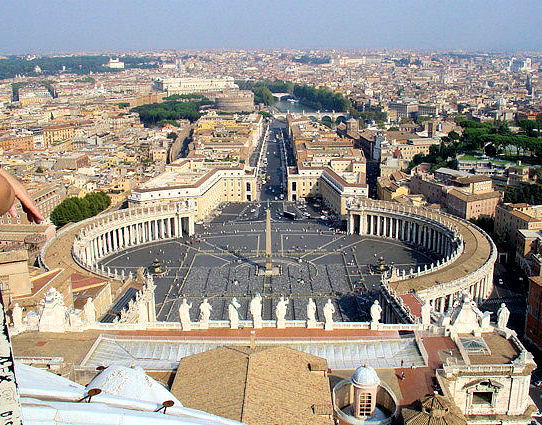 Aerial View of Saint Peter's Square at the Vatican Shows Bernini's Grand Design. Photo: Property of EuroTravelogue™. Once you leave Vatican City, continue to follow the Bernini trail across Rome to encounter a number of works from his exquisite "Ecstasy of Saint Teresa" in the Santa Maria della Vittoria, to "Apollo and Daphne" at Villa Borghese, to the Piazza Navona where his "Fountain of the Four Rivers" still delights Romans and tourists after 350 years. 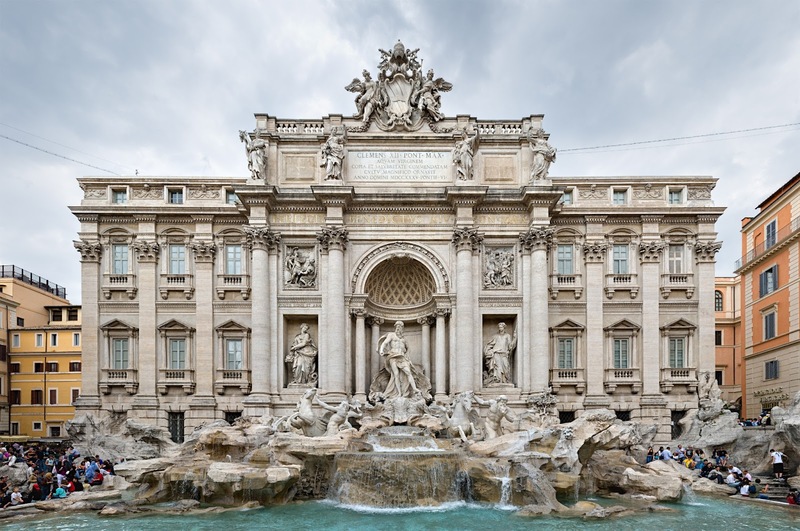 Head to the Fontana di Trevi or Trevi Fountain, designed by Florentine Nicola Salvi and completed in 1762, this 250-year-old fountain was originally commissioned to Bernini but later canceled when the reigning Pope died. More often than not, it is overrun with tourists, and that's putting it mildly but nonetheless, it's worth a trip if only to toss a coin into the fountain solidifying your return to Rome one day! Fontana di Trevi or Trevi Fountain, designed by Florentine Nicola Salvi and completed in 1762. Photo: Wikimedia.org. 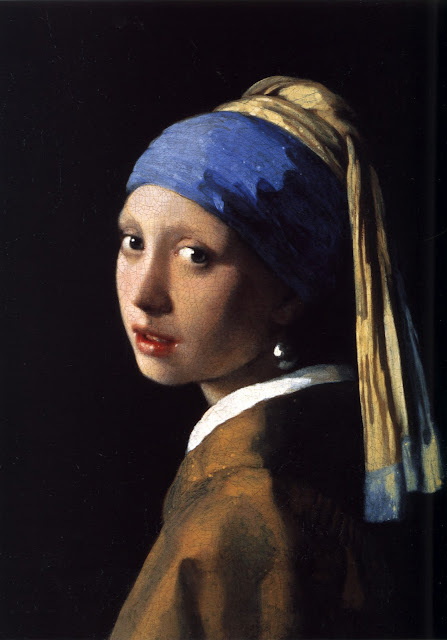 Without a doubt, the Dutch masters are among my favorites from Rembrandt to Vermeer to Avercamp and Van Dyk—among others who have left indelible imprints in history. From pastoral settings in the Netherlands to a stunning portrait of a girl with a pearl earring; and even an anatomy lesson so realistic in depth and perspective, it's jarring upon first glance; these artists take your breath away as you're drawn into their centuries-old masterpieces for a spell in which time stands still. 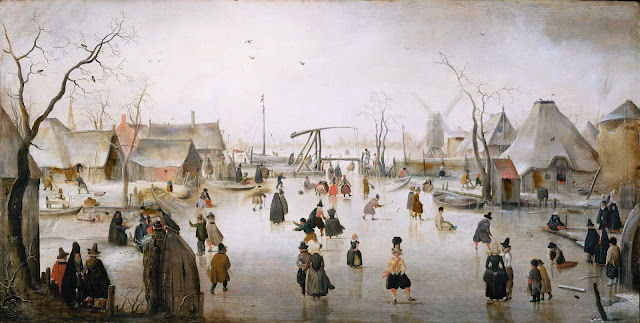 An unexpected surprise at the time of my visit to the Mauritshuis Royal Picture Gallery in The Hague, was my introduction to Avercamp and his 16th-century "Winter Scene"—a moment in time captured forever of a day on the frozen canals and the ensuing labors, struggles, recreation and even some playful jocularity! It was love at first site for its simplicity yet complex in the stunning detail rendered on his canvas. I would say the Mauritshuis is absolutely worth traveling to but equally brilliant are the Rijksmuseum and the Van Gogh museum as well! 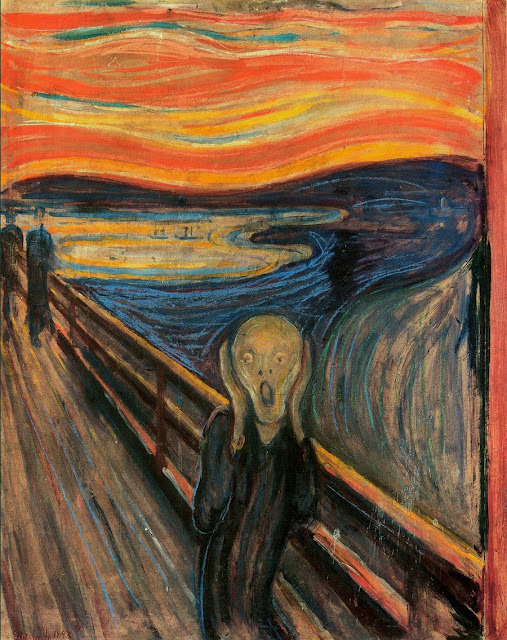 Edvard Munch's "Scream," is the cornerstone of the #NorwayScream campaign by VisitNorway.com. Photo: WikiMedia.org. Not having experienced Norway yet, I do think this country warrants an honorable mention due to the yearlong celebration taking place this year commemorating the 150th birthday of Edvard Munch, the renowned artist who painted the incomparable "Scream." If you're a fan of Munch, then this is the year to plan a trip to Norway for the NorwayScream—the countrywide campaign promoting special exhibitions in Munch's honor. If you want to find out more about the scheduled exhibitions throughout the year, visit Munch150.no for a list of all the events taking place throughout the year. 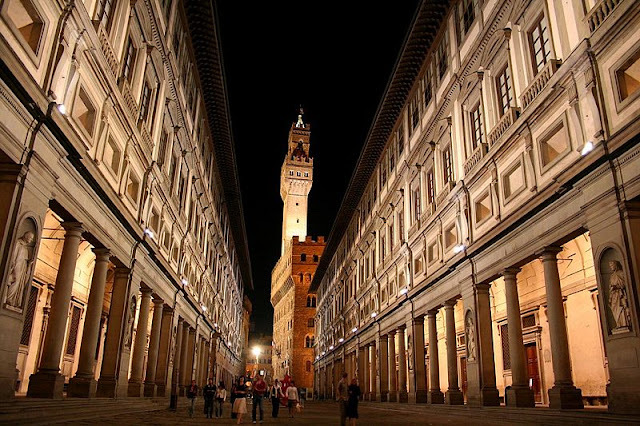 The Art of Florence begins here at the Uffizi Gallery. In the background is the Palazzo Vecchio. Photo: WikiMedia.org. I have written countless articles on the Art of Florence—from Giotto and Michelangelo to Botticelli and Brunelleschi, all of whom have left a legacy for us to revel and ponder. As you know, I love all things Renaissance and Florence for that matter so it's no wonder that this "capital of the Renaissance" city is on my list of top reasons to travel for the love of art. Let's take a look at some of the highlights. No skyline portrait of Florence, Italy, would be complete without Brunelleshi's Dome at Santa Maria Del Fiore! Venture inside for a look at Vasari's "Last Judgment" fresco rising 90 meters into the dome's interior! Photo: Beggs. No skyline portrait of Florence would be complete without Brunelleschi's Dome of Santa Maria del Fiore or Giotto's campanile standing alongside. And we can't forget the incomparable "David" who now calls the Accademia home after enduring centuries of exposure to the elements outside the Palazzo Vecchio. Or perhaps it is the treasured collection of the Medici that lures you to Florence at one of my all-time favorite museums The Uffizi Gallery—for inside await Michelangelo, Botticelli, Donatello, Fra Angelico, Caravaggio, Fra Lippo Lippi, and countless others from pre-Gothic to the Barogue—Leonardo’s unfinished "Adoration of the Magi," Botticelli's "Birth of Venus," Titian’s "Venus d’Urbino," Piero Della Francesca's "Duke of Urbino," Parmigianino's "Madonna of the Long Neck"—among the multitude of the Medici collection. And as you weave in and out of galleries, be sure to take notice of the ceilings in the outer hallways. Known as "grotesques" not because of the subject matter but because of their origin—a style of painting first discovered in grottos [from "grottos" comes "grotesques."] back in the 15th century during an excavation of an unfinished palace for Nero dating back to AD 64. The style was revived again by the artists in early 16th century Renaissance. Be sure to venture outside the museums as well to the many churches and cathedrals. Some of the best include Santa Maria Novella, Santa Croce, San Lorenzo and the Medici Chapels, and more! Make sure you pre-purchase your Florence museum tickets BEFORE you arrive so that you can skip to the front of the line...and yes, you'll be skipping along jubilantly when you see how long these queues can stretch around the city blocks! I've seen queues at the Uffizi extend around the courtyard with wait times of two to three hours and I was relieved to know I had my ticket in my hand. And yes, I even skipped along merrily to the front of the line! ; ) Find out more information at Florence-Museum.com. 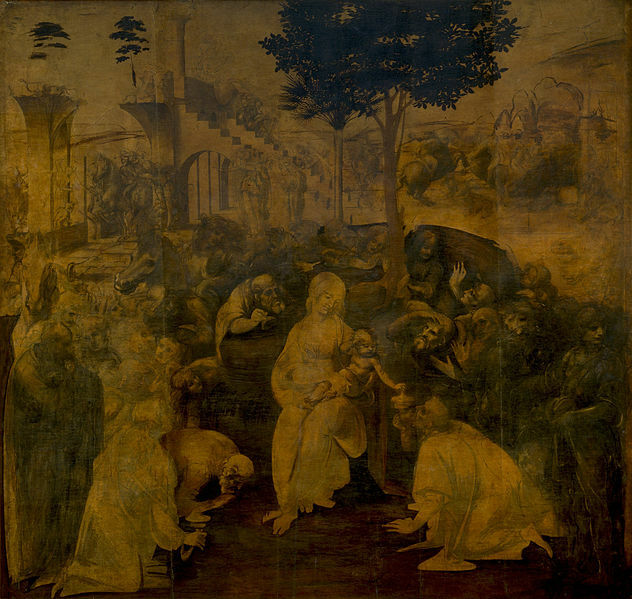 Leonardo's "Adoration of the Magi." Photo: WikiMedia.org. The Musée du Louvre in Paris, France. Photo: WikiMedia.org. It goes without saying that the city of Paris itself is a giant canvas awaiting the artist's palette from the architecture, bridges and sculptures, to the picturesque avenues lined with charming cafés and the sea of humanity ebbing and flowing within the City of Light—"a movable feast" said Hemingway in his memoirs about his years spent in Paris. 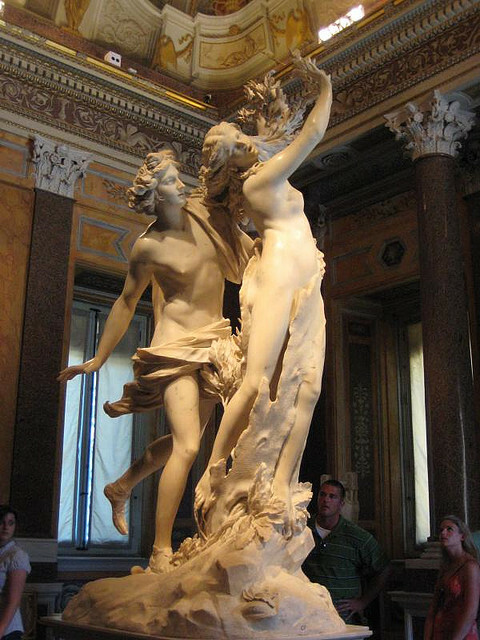 Canova's "Psyche Revived by Cupid's Kiss." Photo: WikiMedia.org. At the top of list on many Parisian itineraries is a visit to the Musée du Louvre which has been inspiring artists and delighting visitors since 1793 when the museum opened officially to the public. Among the masterpieces you must seek out Leonardo's portrait of Lisa Gherardini, wife of Francesco del Giocondo, aka the "Mona Lisa;" Aphrodite, known as the "Venus de Milo;" "Wedding Feast at Cana" by Paolo Vernonese; "Winged Victory of Samothrace;" Michelangelo's "Captive, the Rebellious Slave;" Canova's "Psyche Revived by Cupid's Kiss"—among approximately 35,000 works of art on display that date as far back at 5,000 years ago through the 1800s. One of my favorite exhibitions is the sculpture courtyard filled with various pieces in an atrium filled with light. Before you go, make sure you purchase your Musée du Louvre tickets in advance so you can skip to the front of the line when you arrive at the museum. 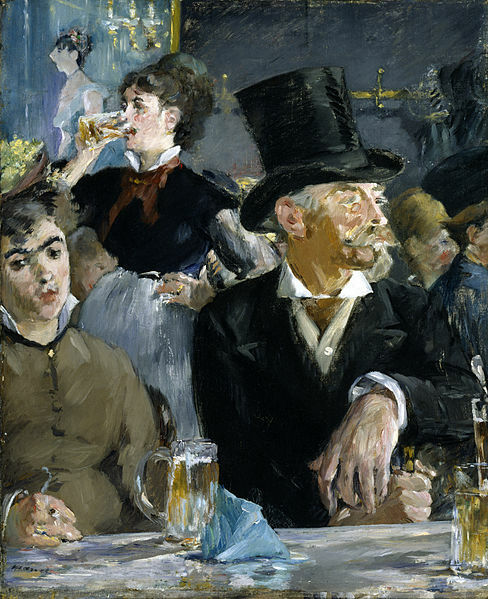 Edouard Manet's "A Bar at the Folies Bergère." Photo: WikiMedia.org. Moving on from the Louvre, the nearby Musée d'Orsay's collection picks up from where the Louvre leaves off, specifically the latter 19th century or the age of Impressionism as we know it with masterpieces including Manet's "A Bar at the Folies Bergère," Monet's "Cathedral of Rouen" series, Renoir, Degas—among others. Post-impressionists van Gogh, Cézanne et al. are all there too. 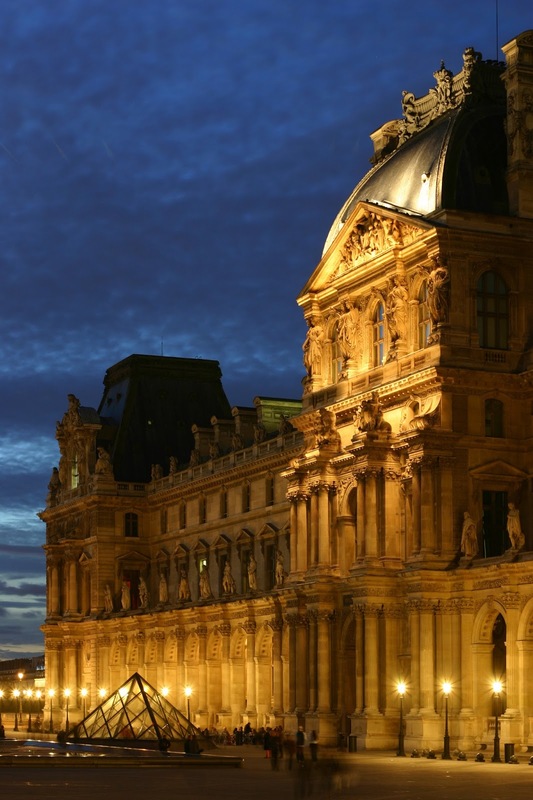 The Musée d'Orsay doesn't get nearly as crowded as the Louvre so your visit will be sublime! Edgar Degas' "L'Absinthe." Photo: WikiMedia.org. Back across the Seine at the other end of the Louvre and Tuileries Gardens is the Musée de l’Orangerie where you can indulge in Picasso, Rodin, Henri Matisse, Monet's "Nymphéas" and "Water Lilies," and many others. Monet's "Water Lilies" at the Musée de l’Orangerie. Photo: WikiMedia.org. We have only visited three of Paris's more than 200 museums, but think how much more is out there waiting to be discovered. At least you have a place to start. 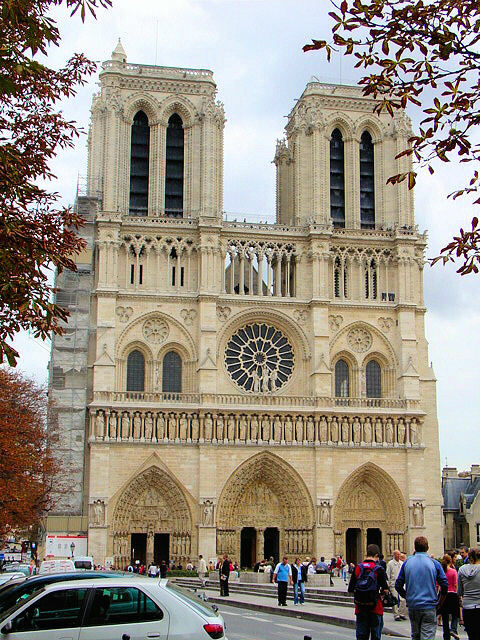 But be sure to look outside the museums as well for magnificent architecture of the government buildings and the awe-inspiring churches and cathedrals, whose edifices are masterpieces in their own rights. And once inside, you'll revel in timeless paintings, sculptures, frescoes and stained-glass tapestries of light. Undoubtedly, you can fill up an entire itinerary with art discoveries but make sure you experience the moments of journey and revel in the art of the destination in which you happen to find yourself. What is among your favorite pieces of art that you've discovered in your travels? Have you ever traveled to a destination because to see a specific work of art, or perhaps a traveling exhibition? Please share your experiences with me. I love this post! For every vacation I spend 6 months prior making a list of all the great art pieces I want to see and where they're located. Then my travel itinerary is planned around that. Usually I'm trying to find evidence for or against an art hypothesis I've created or read. Like, "Did Michelangelo forge the statue Laocoon, discovered in 1506 and housed at the Vatican?" That one question has prompted 5 research trips to Italy and many hours of happy obsessive ponderings. I'm going to check out all the websites of your roundtable contributors. I'm trying to figure out an art hypothesis for Ireland. Any suggestions? Hi there Sara and thank you for my ear-to-ear GRIN!! Wow, what a fascinating premise on which to base your travels...supporting or "decoding" the myths of art! I love it! For Ireland, I would reach out to Erin Halvey, another member of the Roundtable. A link to her site is just above...ASenseOfPlace.com. Please share with me your hypothesis and your conclusions upon your return. I have to find you on twitter now...see ya and thanks again for stopping by and your lovely compliments! 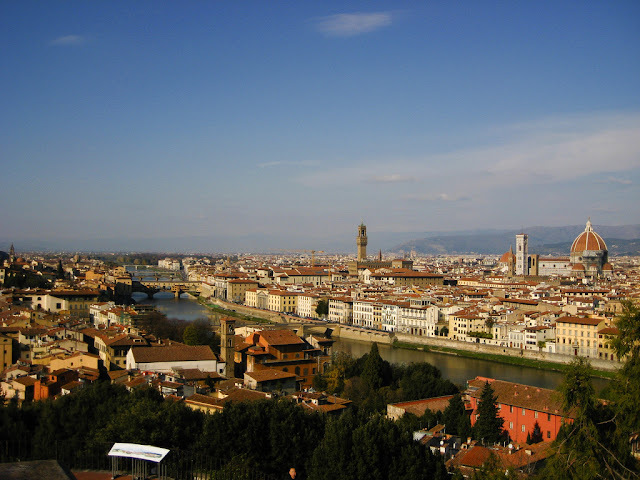 I would also add the Cluny Museum in Paris and the Bardini Museum and Pitti Palace in Florence. Hi there Tracy and thank you so much for adding these to my list above, both of which absolutely deserve to be seen on anyone's travel itinerary. I'm mopping up the drool caused by remembering the Bernini Trail. HI there Erin and thank you my fellow ArtSmartie for stopping by to share your thoughts! I too, share your passion for Bernini...and loved that tour. Amazing post, Jeff. So many wonders waiting in Europe's incredible treasure houses. I also love it when art travels to me! It's like a friend visiting. 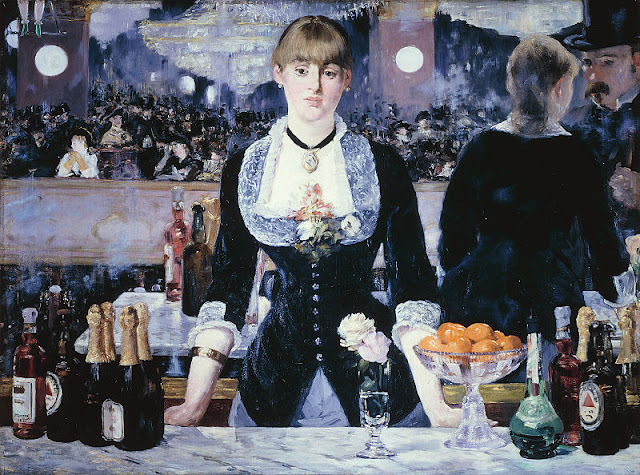 Like Manet's A Bar at the Folies Bergeres. I saw it in Paris, then saw it again in a travelling exhibition in Canada with my small son; he could only see as high as the bowl of oranges but I remember his exclaiming over it. I couldn't get over the corsage on her blouse and the reflection of the room. Would love to see the painting again! Thanks so much for the memories. Hi there Lesley and thank you so much for all of your kind words! I agree about Manet's painting...it is most sublime and the reflection stunning to say the least. I remember studying this painting years ago and it has always held a special place in my art. Thank you for stopping by and sharing your experiences!! Hi there Annie and thank you so much for stopping by and for your kind words! Exploring art locally can be just as moving as traveling to Europe to see the works as well so thanks for sharing the galleries in your neck of the woods. I too, would love to explore all the places that inspired artists...how sublime that would be! Thx again for everything! Just some of the many reasons I adore Europe! Thanks so much for sharing these. And for some reason, I'm seeing Scream in a different light today. Curious. Hi there Talon and thanks so much for sharing your thoughts! I completely agree with you...art is definitely one of the reasons I love Europe so much...so much history to explore and discover throughout! Hopefully Scream is viewed in a positive light my friend! Always love these post, gives me so many ideas of places to visit, things to do, people to read more about. The only place I really need to visit out of these is Paris, so maybe that should be first on my list? Hi there Dale and thank you so much for your kind compliment!! I am glad you enjoy our ArtSmart series...stay tuned, we publish on the first Monday of each month. And yes, start with Paris, you'll find lots and lots of discoveries there!